Santa and his polar bear friend put the finishing holiday touches on a lighthouse nestled in a winter wonderland in this charming tabletop decoration. Enjoy the festive piece on a side table or as part of a centerpiece. 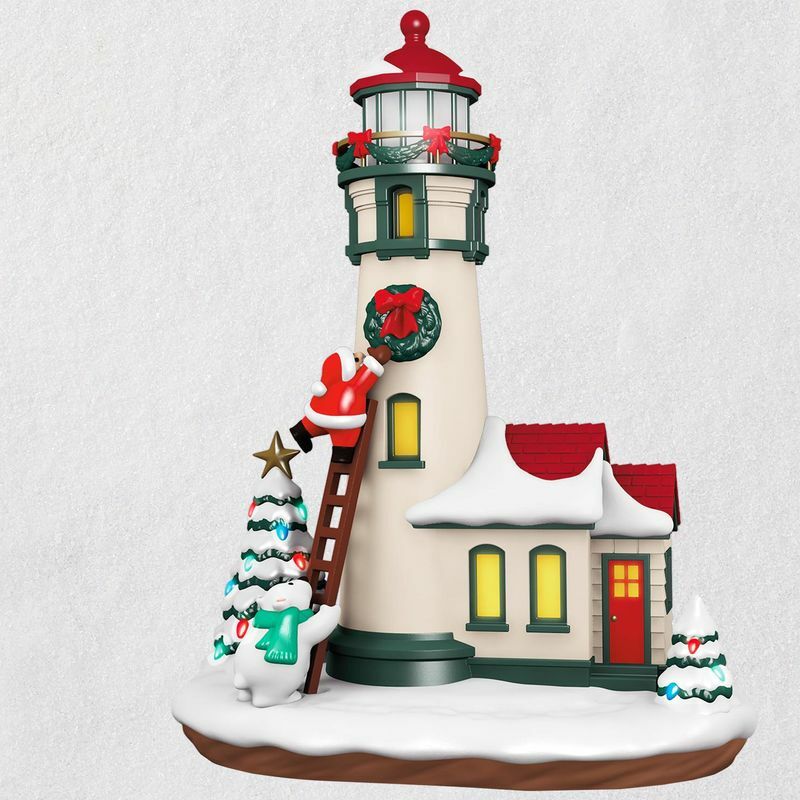 Plug it into Hallmark's Keepsake Power Cord (sold separately) for continuous light and press the button to hear "I Saw Three Ships (Come Sailing In)" while the lighthouse illuminates. Magic Sound and Light Christmas table decoration. Press the button to see the lighthouse illuminate and hear music from "I Saw Three Ships (Come Sailing In)." 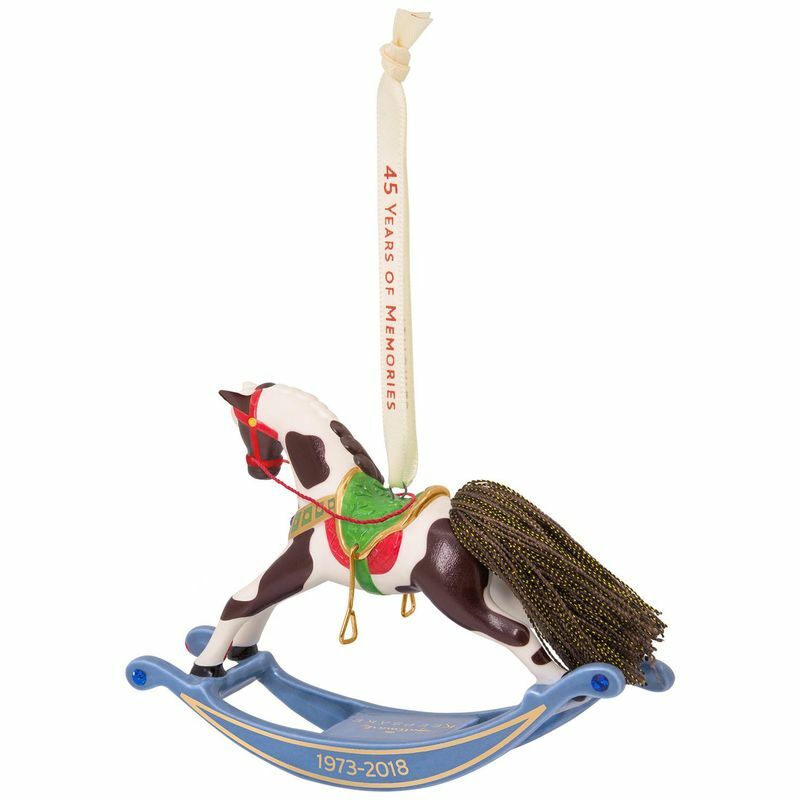 Requires Hallmark's Keepsake Power Cord (sold separately). No batteries necessary. Artist crafted by Tracy Larsen. Measures 7.05" W x 8.89" H x 4.42" D.